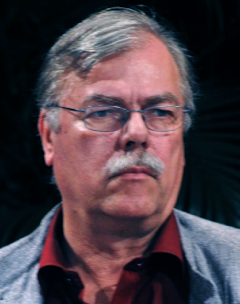 Wim van der Meer studied anthropology and musicology at the Universities of Amsterdam and Delhi. He did his Ph.D. at the University of Utrecht in 1977 in the department of Oriental Languages and Cultures, with Jan Gonda as promotor. In India he has received extended and intensive training in Hindustani classical vocal music since 1970 under the illustrious Pandit Dilip Chandra Vedi (1901-1992), one of the most knowledgeable musicians of the twentieth century, and himself a disciple of stalwarts like Uttam Singh (dhrupadiya of Tilwandi gharana), Bhaskar Rao Bakhle, Faiyaz Khan and Alladiya Khan. Since 1999 Wim van der Meer has been teaching cultural musicology and world music studies at the Department of Musicology of the University of Amsterdam until his retirement in 2014. His publications include Hindustani Music in the Twentieth Century (1980), the “Raga Guide” (co-author), a work that received international acclaim in more than 70 music journals and newspapers. From 2005 to 2012 he was the chief editor of the Journal of the Indian Musicological Society. In collaboration with Dr. Suvarnalata Rao of the NCPA (Mumbai) he has been working on the Music in Motion project, in which all the major raga-s of North Indian classical music are documented with recordings, analyses and motion graphics. Apart from Indian music he also does research in the field of Brazilian music. His work on computer assisted research in musicology is internationally known. OK, that’s the semi-official short story. Now for the nitty gritty. 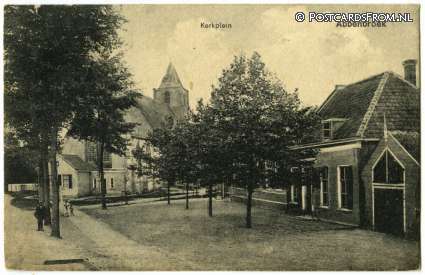 I grew up in Abbenbroek, a small village in the south of Holland (on the islands of southern Holland, that many people erroneously think belong to Zeeland). My first clear memory is of the floods of 1953, when I was 4 years old. In fact, we had to run from the water a couple of days before my birthday and I clearly remember how my mother took me and my elder sister to the tra mway for Rotterdam. The space in front of our house, the church square, was covered with snow at the time. My elder brother Philip and my father stayed back to try and move some stuff to the first floor, they joined us later. We celebrated my birthday in Rotterdam, in the house of my grandparents. Returning to the house after the water subsided is a very vague memory, but one thing stands out; the piano we had was totally ruined by the water and my brother and I took it apart. Another memory I have from that time was that my father used to play the violin, and I also wanted to learn that. He thought however that it was better for my brother and me to learn to play the piano, which somehow was replaced after the floods. We had a terrible village piano teacher and I soon lost interest. I also remember listening to the radio on Sundays, when there used to be a classical music program my father enjoyed. My passion for music really took off when we moved to Amsterdam in 1963. The youths at school were into Rock and Roll, I lived the times of Beatles and Stones from very close by. Philip went to university the year after and one of his fellow students was from Egypt. Through him we became acquainted with Um Kalthum. I think this prepared my ears for Indian music, because when I first heard some on the radio in 1965 I was swept off my feet. Around this time I had my first travelling experiences. In 1966 to Zermatt with my parents, in 1967 to Egypt with Philip, in 1968 to India, again with Philip and in 1969 to Morocco. I will not relate all those travels in more detail, except of course India. We went over land, first to Istanbul, then by local bus to Ankara, Erzurum, Doğubayazıt, Tabriz, Teheran, Masshad, Herat, Kandahar, Kabul, Peshawar, Lahore, Ferozepur, Delhi. That took nearly three weeks. Stayed in India for a while and back the same way. Lots of hippies on the same trail, mostly stoned. In India we went to see Vilayat Khan the great sitariya, whom I had met in Amsterdam. Vilayat Khan was staying in an old mansion in Simla and I remember him commenting on life in the mountains: “You look down the mountain and you feel strong, you look up the mountain and you feel humble”. In Delhi I went to All India Radio where I came to know Anant Lal, the shahnai player. The first piece of Indian music I had heard back in 1965 was by him, playing raga Multani, and it inspired me to take up the shahnai myself. There was an orientalia shop in Amsterdam selling musical instruments and at the Tropical Institute there was an introductory course of Indian music. Then, in 1967, thanks to Mahesh Yogi and the Beatles, a flood of Indian music LPs came to the Netherlands. I also met some collectors who allowed me to make tape copies of their rare Indian music recordings. The musicians that most moved me were Faiyaz Khan and Mogubai Kurdikar. In 1970 I obtained a scholarship that enabled me to do my doctoral studies in India. I enrolled for sociology and musicology at Delhi University and had shahnai lessons from Anant Lal. In the beginning of 1971 someone introduced me to Dilip Chandra Vedi. It was a name I had come across before, he had been a student of Bhaskar Rao Bakhle, Faiyaz Khan and Alladiya Khan. Those were some of the most famous and influential musicians of the early twentieth century. Unfortunately the only recordings we have of Bhaskar Rao and Alladiya are really of terrible sound quality. Faiyaz Khan on the contrary we can hear abundantly, and what a giant of music he was. 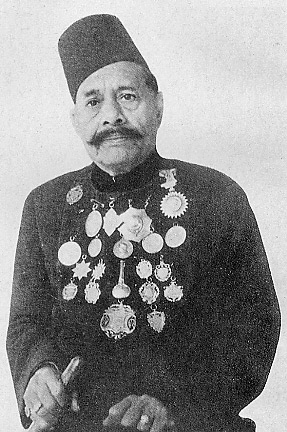 At many all-India music festivals of his time he had been awarded the medal for best musician (and bags full of money). But Vedi himself also made his mark. He also had a fourth teacher, Uttam Singh, a dhrupadiya of Tilwandi gharana, and to Vedi knowledge of dhrupad was essential for understanding raga. When I met Vediji e just took for granted that I wanted to study with him and invited me to sing for him. I sang a silly song but he liked my voice and told me to start classes the following week. Studying with him at Bharatiya Kala Kendra was an extraordinary experience. He had about ten students, who would sit around every day from noon to 6 p.m. Everybody had a private class of about 45 minutes, but everybody also sat through the classes of other students and sometimes he would teach a composition to all students. Well, I’m saying everybody, but it was a bit more differentiated. Some students would come three times per week instead of six (on Sundays the institution was closed, but some of us would go to his house). Some students would not stay the whole afternoon, but just came for their own class.But the small inner circle of enthusiasts was around all the time. Senior students were also helping new students. I was particularly lucky to have Nupur Roychaudhury and Anita Roy Chaudhury (similar surnames, not relatives) as my fellow students. Anita was the most succesful young singer of her time. Her main rival was the then very young Parveen Sultana, but in the music competitions they both entered Anita always won the first prize. Nupur was a good singer too, and she became a music teacher in Delhi University. Anita died in a terrible accident in 1975. I enjoyed this very intense training up to 1975, with a short break and came back again in 1977 for a period of half a year. Vediji had left the Kendra and was now teaching at home. After 1978 I kept coming back on a more irregular basis, staying for a couple of months at a time. But the foundation of my knowledge of this music was really laid between 1971 and 1975 at the Kendra. After that, it was a matter of extending my knowledge. Video’s method of teaching was very strongly focussed on compositions. Unlike other teachers, who put stress on exercises he believed that compositions were the key to developing both technique and understanding of raga. The compositions had to be mastered in the utmost degree of detail – every small inflection and nuance of timing had to be perfect. His conception of raga was founded upon this understanding of detail and structure of composition. Next to studying composition he would teach alap in a similarly strict manner. The alaps he taught were just as precomposed and fixed in detail as the compositions, students were supposed to start improvising alap in a much later stage. I have closely watched some other traditional musicians who used a similar approach, but with some differences. Some would put more stress on the precomposed alaps, others would stay longer with exercises. This is generally true for the old gharanas of khayal like Gwalior, Agra and Jaipur, as well as the dhrupad traditions. In other gharanas and most instrumental music there is much more stress on technical exercises, and the whole conception of raga is different. Exercises are turned into tans, tans are slowed down into alaps, compositions are less prominent, even sketchy. The whole atmosphere and conception of these different approaches is different. Since this raga music is an oral tradition there is no way to learn it other than through close and protracted contact with a teacher. I know quite a few foreigners who have had very little real training, some of them are completely autodidactic. With the help of the vast amount of recordings we have access to today they can go a long way, and become very good performers. I have performed a lot but I never intended to become a fulltime performer. My temperament is that of a scholar and a teacher. The remarkable thing is that in the current musical life in India there is no discrimination between musicians who have a profound knowledge of raga and those that have a flimsy knowledge. For most students it is easier and cheaper not to take the long way of learning raga. To me, there was immense pleasure in learning raga and composition the way I did, and it still is immensely rewarding to carry that knowledge with me. Listening to musicians like Kishori Amonkar or Ulhas Kashalkar profoundly moves me as they still present raga in this manner. The other side of the medal is that to me all those musicians who have tremendous technique but to whom raga is only a vehicle for displaying that technique are completely uninteresting. It’s all the same. In 1983 the International Society for Traditional Arts Research (ISTAR) started a project of documenting ragas with Vediji as the fountain of knowledge, a project that eventually would inspire the publication of the Raga Guide. In this project, led by my gurubhai Joep Bor, we also had the support of a informatician, Bernard Bel, who taught me the basics of computer programming and signal processing. Back in the Netherlands in 1985 I took a crash course in programming and system analysis to extend my knowledge in that field and in 1986 took up a function as IT specialist in Leiden University. At the same time I was teaching several courses of Indian music and had private students. With my gurubhai Joep and a few other fanatics we founded a dutch branch of ISTAR and started a school of Indian music and dance which in 1989 partially merged into the Rotterdam Conservatory.